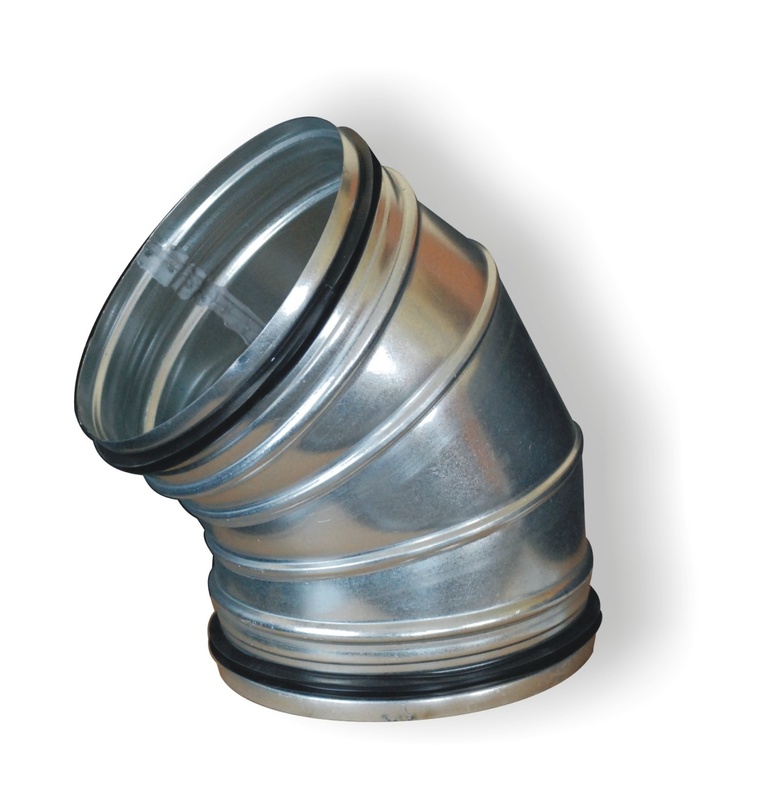 A typical fitting used in ventilation systems. 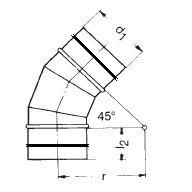 It is used to change the direction of the ventilation installation by 45 degrees while maintaining the duct diameter. The additional EPDM seal eliminates the need for additional sealing strips and significantly increases the tightness of the installation. Hot galvanized steel, sendizimir processed, 275 g / m2 zinc thickness..